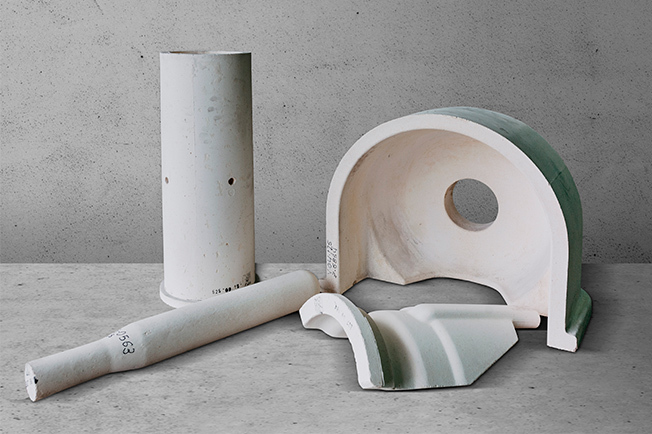 Deguisa designs and manufactures refractory components of high performance for the Feeder of the glass industry, characterized by their complex geometries and high levels of resistance to chemical attack and thermal stress. Manufacture of complex shapes and precise dimensional tolerances through the Zirconal process. Wide range of qualities for greater resistance to chemical attack and erosion. High performance of the refractory. Do you need more information about Feeder refractory components or about other products or services? Send us your details and we will contact you.